With lovely parks, an abundance of museums and galleries, excellent shopping, and a lively music scene, your holiday in Glasgow won't be short of entertainment. Glasgow is a young city, with a lot of energy, and sightseeing attractions compete with pubs, bars, malls and restaurants for the attention of visitors. Music enthusiasts, football fans and party animals will be as happy in the city as culture vultures. There is a wealth of galleries and museums in Glasgow, with the best of them including the Burrell Collection, housed in the lovely Burrell Park, and the Gallery of Modern Art (GoMA), which challenges visitors with its impressive variety. 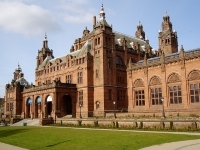 Kelvingrove Art Gallery and Museum, Glasgow's principal art gallery and museum, and the fascinating Hunterian Museum, Scotland's oldest public museum are undoubtedly worth a visit. A Glasgow attraction which delights visitors interested in architecture is the Glasgow School of Art, a famous building designed by Charles Rennie Mackintosh, which can be explored on a guided tour lead by a student of the institution. 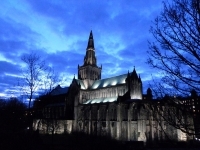 The Glasgow Science Centre is another great favourite with tourists, as is the beautiful, 12th-century Glasgow Cathedral. 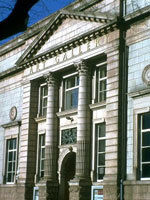 Sightseeing in Glasgow is a joy, particularly as so many of the museums and galleries have free entrance.